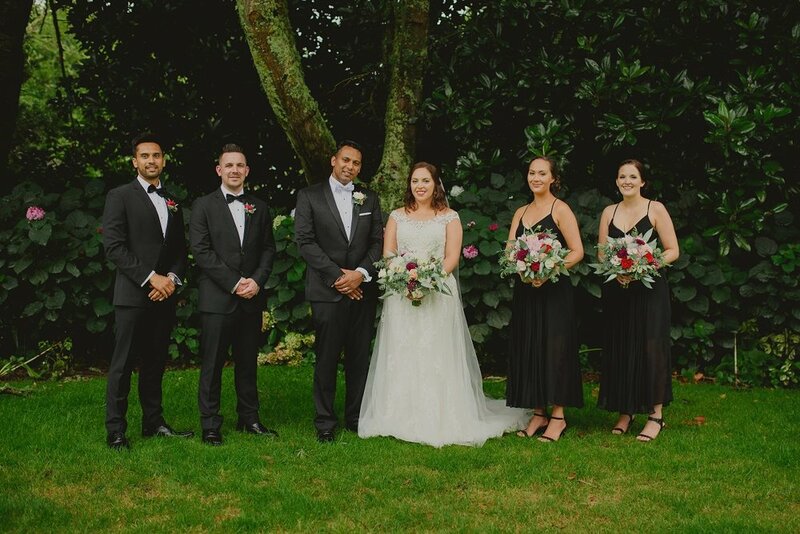 Alecia and Avi married at The Narrows Landing in Tamahere, Hamilton. 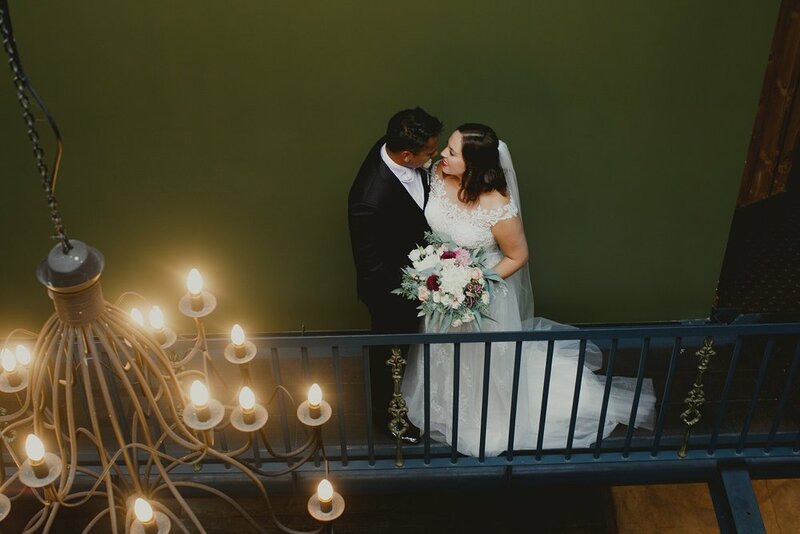 This lovely couple wanted a venue where they could have their ceremony and reception in one location and this fit the bill perfectly with its beautiful gardens for the photos. There was also a wet weather option that came in very handy as it decided to rain on their big day! 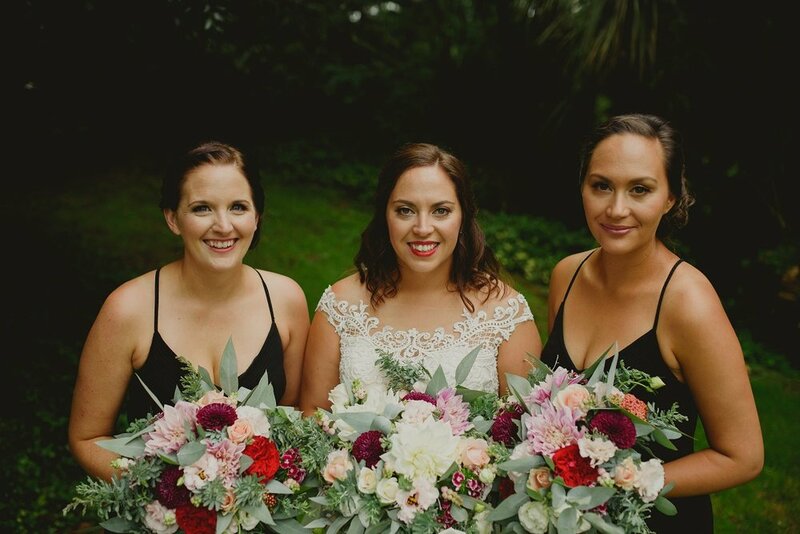 The accommodation was great too as Alecia and "her girls" stayed in the treetop apartment the night before the wedding and their family stayed on the night of the wedding which meant they could happily party the night away and then head upstairs to bed at the end of a long and happy day. was the gown that Avi chose for her wedding day. 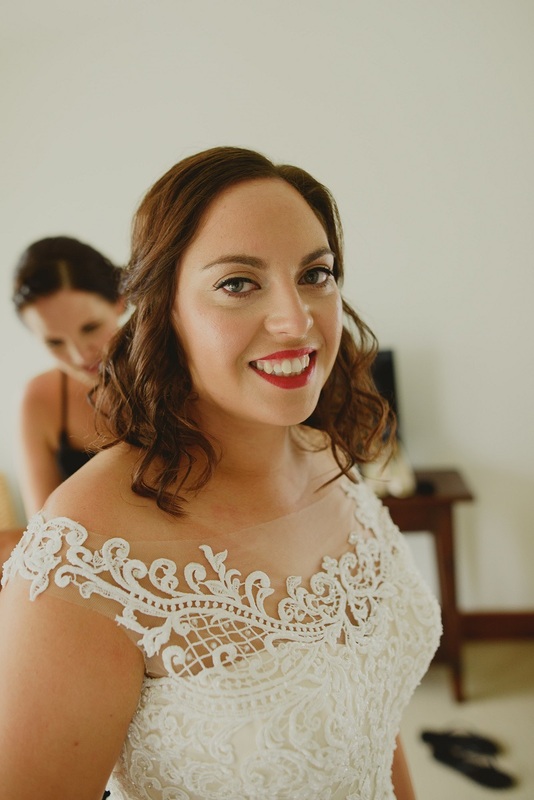 "I loved the illusion look and the detailing on the neckline just sat perfectly on me." We couldn't agree more, it was the perfect gown for a gorgeous bride. 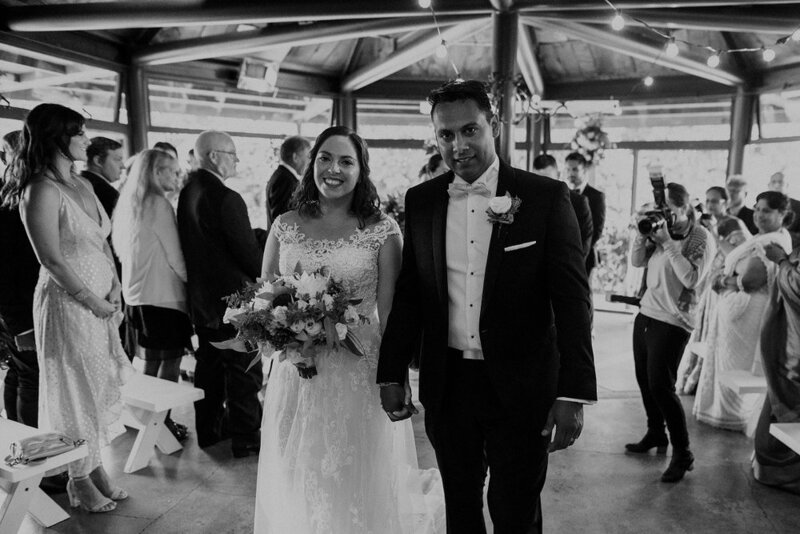 We did a First Look before the Ceremony which I thought was a special moment between Avi and I and helped to ease the nerves before the start of all the formalities. What was the feel you wanted for your Day? We wanted everyone to enjoy the food, celebrate with Avi and I and party with us. The food was amazing, we got lots of compliments and the venue made sure everything ran smoothly. If you fell in love distinctive crosshatch motifs embellished with Swarovski crystals, delicate beading, and sequins then click the button below to make an appointment to try it on at your nearest Astra Bridal.